Many amateur poker players dream of turning professional, but only a small percentage manage to turn that dream into reality. The life of a professional poker player may look glamorous, with lots of travel to glitzy locations and the opportunity to win big sums of money, but getting to a stage where you can live off your winnings requires a lot of time and hard work. So, what does it take to become a poker pro? Read on for some pointers! Just like any professional sportsperson, poker players need to look after themselves. Granted, poker is not an active game (especially online poker), but that’s exactly why players need to maintain their health. Poker is a sedentary activity involving remaining in the same place for hours at a time. On top of that, it includes a lot of travelling and staying at hotels, so it’s easy to slip into unhealthy eating habits. To perform at your best consistently in any discipline, you need a healthy body and healthy mind, so it’s important that poker players eat well and take time out for exercise – even if it’s just a walk or gentle jog. Poker is a game of the mind; it’s about reading your hand, reading your opponents and keeping your emotions in check. While things like strategy and bankroll management are of course important, the biggest factor affecting your success as a player will be your mental resilience to discomfort or disconcerting situations like low chip stack or an irritating opponent. All players of any sport or game go through ups and downs. Even the top poker players in the world will have cold streaks, so an amateur trying to become a professional will definitely hit a few along the way. How you deal with losses, and understanding your reaction to them, is crucial. 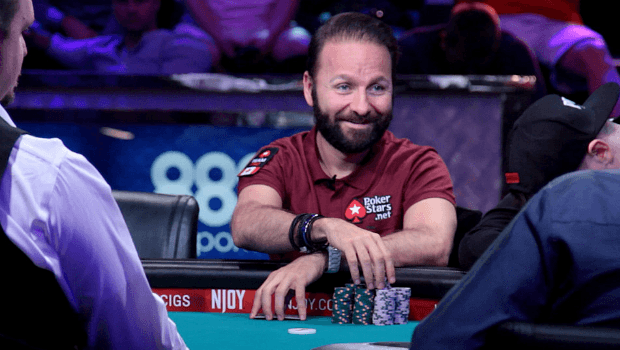 We all know the term ‘poker face’ but being a good poker player isn’t just about looking cool and calm, it’s about exhibiting those qualities. Patience, discipline, focus and awareness are all vital traits in this game. ‘Tilting’ is a common downfall among amateur poker players. It describes the state of feeling angry and frustrated when things aren’t going your way and then letting those feelings have a negative impact on how you play. Avoiding tilt, not letting emotions dictate your play and not chasing losses are all habits that will help in the long run. After all, if you become a professional, it’s your livelihood that’s at stake. If you do decide to give up your day job and ‘go pro’, it’s important you work out how much you need to earn in order to live comfortably. That may sound obvious, but bankroll management is crucial if poker is going to be your sole source of income. It’s generally recommended that professionals have six months’ living expenses set aside. Even if you have a small bankroll to start out with (say, $100), you can still play the micro stakes, learn, practise and refine your game, and accumulate a sustainable bankroll as your stats grow and improve. If you don’t have much money to play with at the start, there are also tournaments called ‘freerolls’ that, as the name suggests, don’t cost anything to enter. Players can win real money or tickets to real-money tournaments. It’s also important to do the maths on your own performance. Keep a record of your wins and losses so you can see if you have what it takes. You have to be realistic and assess your skill level objectively because ultimately, if you’re not good enough you could run into financial problems. One of the most common pieces of advice given to amateur poker players considering turning professional is to not play other casino games, whether online or live. Remember, poker has the biggest edge of all casino games. Others are down to pure luck – the roll of a dice or the spin of a wheel. You might get a few wins, but that’s no indicator that you’re going to get more. Looking after your money is crucial. People gamble for the thrill of winning and that can lead to gambling more, but remember you’re a professional and this is your job. Similarly, knowing the right time to walk away is another key element. Quitting while you’re ahead and cutting your losses may sound like clichés, but they’re highly applicable in poker. Herein lies the difference between a professional poker player and a gambling addict.